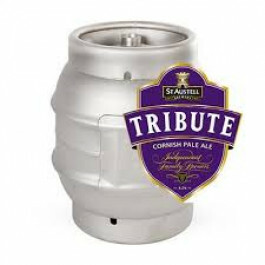 Tribute is a delicious full-bodied malty beer with a rich aroma of biscuity malt and tart citrus fruit. St Austell Tribute Ale is a pale amber in colour, this ale has aromas of orange zest with hints of tropical fruits. The combined flavours of orange and grapefruit create a refreshing ale.